Sometimes football is pretty and great to watch and sometimes it is wonderfully horrific. The goalkeeping seen from the Shandong Luneng keeper Wang Dalei was definitely in the latter category. 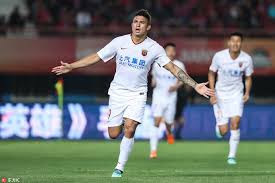 This video is from the weekend's action in the Chinese Super League where we also saw Shanghai SIPG continue their 100% record to the start of the season making it 5 out of 5 with a 2-1 win over Henan Jianye. The league in China is now starting to take shape with Changchun Yatai and Dalian Yifang the only two sides yet to record a win this season after five games.